In recent weeks, a team of Air Riflemen of 16 ° Stormo Martina Franca has acquired the qualification to operate independently with electromagnetic systems to combat the illegal use of drones - Counter Unmanned Aerial System (C-UAS). It is a radar detection system, with day and night optics and devices for electronic interdiction to inhibit the flight ensuring the necessary security, in particular for the protection of airports, critical infrastructures or sensitive sites. The activity was made possible thanks to one of the collaborations underway between Aeronautica Militare and IDS "Ingegneria Dei Sistemi", an Italian company that provides research, innovation and safety technologies in the aeronautical and unmanned systems sectors. 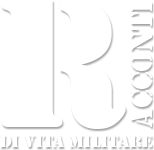 A virtuous example of the "Italian system", the result of cooperation between the Armed Forces and specialized sectors of national industry, in response to challenges and threats from the air in both civil and defense. Positively employed in the protection device for the safety of previous major events, the capacity recently acquired by the Air Riflemen is among the different forms of response that the Aeronautica Militare is able to ensure for the contrast of threats deriving from the use of drones in the broader asymmetric air defense system. It also complements the kinetic skills already achieved by the Riflemen of the 16 ° and the 9 ° Stormo, from the ground and from the air, the latter in particular on board helicopters in the function Slow Mover Interceptor Operator (SMIO) to intercept and if necessary neutralize small or ultralight aircraft. Faced with new challenges and threats looming, the C-UAS capabilities of the Air Riflemen thus offer a spectrum of responses tout court compared to the illegitimate use of drones, reflecting the imperative of integrating conventional conventional air defense systems with elements of innovative protection. In the scenarios in continuous and unpredictable evolution, the Aeronautica Militare also confirms in this sector the constant valorization of the adjoining capacities of its weapon systems, enhancing their potentials for a growing contribution to the safety of the community. 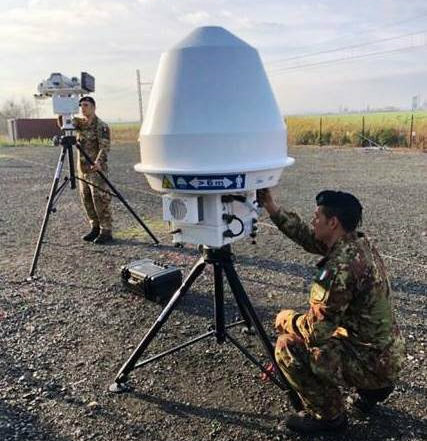 A commitment that is also confirmed in the capacity and dual character of the company Fucilieri dell'Aria, a member of the Air Force specialized in the "Force Protection for Air Operation", also involved in the safety of some Italian airports within the scope of Safe Roads operation.